No matter how much or how little money you make, it’s important to save. Save for an emergency, for retirement, for a nest egg – no matter what you’re saving for, you want your money to sit safely and comfortably. But you also want to put your money to work while saving. If you aren’t using your money, while not earn a little extra from the bank in interest? Today’s basic savings accounts don’t do much for your money. On average, bank savings accounts pay a paltry interest rate of 0.25 percent APY. That means you’ll make just a dollar or two each year. Instead, you need to consider a high-interest savings account with a much higher rate of earning. 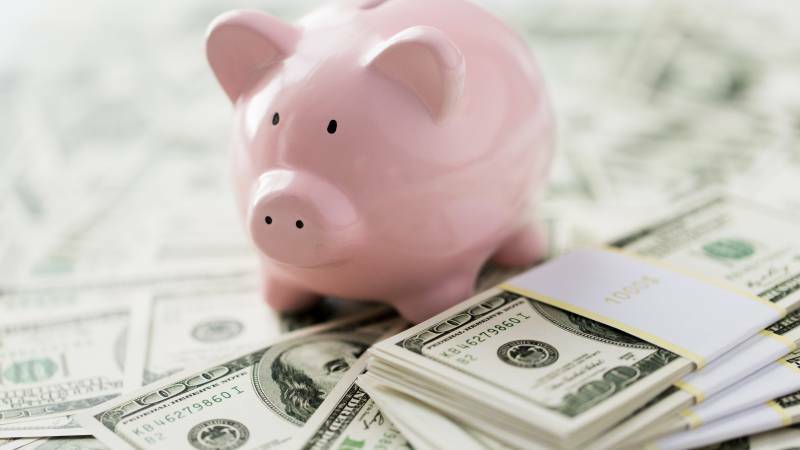 If you’re searching for a high-interest savings account, here are the best for your money. While Sallie Mae is primarily known for its student loan products, the company also offers a money market account to help you to save and earn higher interest than you can at your local bank. The Sallie Mae Money Market account offers you more interest than is available with a traditional savings account: a competitive interest rate of 2.3 percent1, compounded daily. There’s no minimum balance required, and Sallie Mae doesn’t charge any monthly maintenance fees. And you don’t have to lock up your money, either. You can access your savings simply by writing a check. Transfers are free, and you’re allowed to make a maximum of six withdrawals each month. The account is insured by the FDIC, and you have online access so you can manage it from anywhere. A division of Emigrant Bank, Dollar Savings Direct offers a high-yield savings account with one of the best interest rates available. The high-interest savings account through Dollar Savings Direct pays 1.80 percent APY. The company doesn’t require a minimum deposit or charge any monthly fees. You can open your new savings account online, and the process is quick and easy. Dollar Savings Direct also allows you to link your Dollar Savings Direct account to your existing checking account, making transfers into (or out of) your savings simple. You can access your account 24 hours per day by logging into the website. All accounts with Dollar Savings Direct are FDIC-insured. Salem Five Direct offers its eOne Savings account to new customers only – and it has a great interest rate if you’re looking to switch banks. It pays 2.3 percent APY2, which makes it one of the highest-paying savings account currently available in America. Salem Five Direct does require an initial opening deposit of $100, and the bank accepts funds up to a maximum of $1 million in each transaction. In order to be eligible for this account, you must open your account online. All Salem Five Direct eOne accounts are online only; though there’s no physical branch, you have 24/7 access to your funds. Salem Five Direct does not charge any monthly fees and is FDIC-insured. Goldman Sachs is traditionally an invest option for those with a lot of cash, but it’s recently introduced a helpful savings option for the average person. Marcus by Goldman Sachs is a high-interest savings account with a low minimum deposit. Open an account by depositing $1, and you’ll earn an interest rate of 2.25 percent APY3. You can make a maximum of six transfers or withdrawals from your account per month. The APY is subject to change at any time, but it will always remain higher than an average bank savings account. The maximum account balance for the Marcus by Goldman Sachs high-interest savings account is $1 million. You’re able to link any of your existing accounts to transfer deposits, or you can wire money to your account. The CIT Bank Money Market account pays a strong interest rate right now. There is a $100 minimum initial deposit to open your account, and you can open it online at any time. You can complete transactions using the People Pay app and are allowed six withdrawals or transfers each month. It’s easy to start saving; just make mobile deposits into your CIT Bank Money Market account from your smartphone, and you’ll enjoy a host of secured banking features. The interest rate is variable, but is currently paying 1.85 percent APY4. Accounts with CIT Bank are insured by the FDIC. The People Pay app is a free service that allows you to send money to anyone from your account by sending the funds to a mobile phone number or an email account. Saving money doesn’t have to be difficult – especially if you’re earning even more while stockpiling your cash. It’s possible to find high-yield savings accounts online that pay more than four times the average savings account rate. With these accounts, you can enjoy interest rates ranging from 1.60 percent to 1.85 percent APY, easy access to your money, and the ability to build your savings fund much more quickly. Interested in the latest high-interest savings account options? Start a search today.